We cannot treat the words of Alexandria Ocasio-Cortez as nonsense. To some in America, what she advocates — a communist government with its socialist economic platform, utopia for all — makes sense. They believe any question raised about the funding of “free everything” is just anti-communist propaganda. After all, no matter how much the wealthy are taxed, they’ll never run out of money. I am very disappointed that the Republican Party and conservative groups have not begun a strong campaign against Ms. Ocasio-Cortez telling of the dangers which could arise if the number of her followers were to increase. 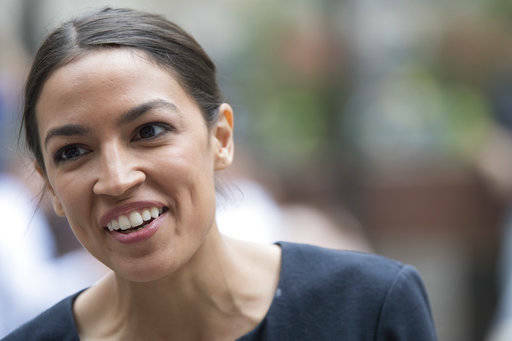 If left unchallenged, Ms. Ocasio-Cortez could convince idealistic people, real communists and other Americans that they had nothing to lose, so go out and vote to elect communists to all levels of our government. We Republicans, true American Democrats and libertarians know the end result if Alexandria Ocasio-Cortez is successful and the money eventually runs out: America will change from a republic to a dictatorship.